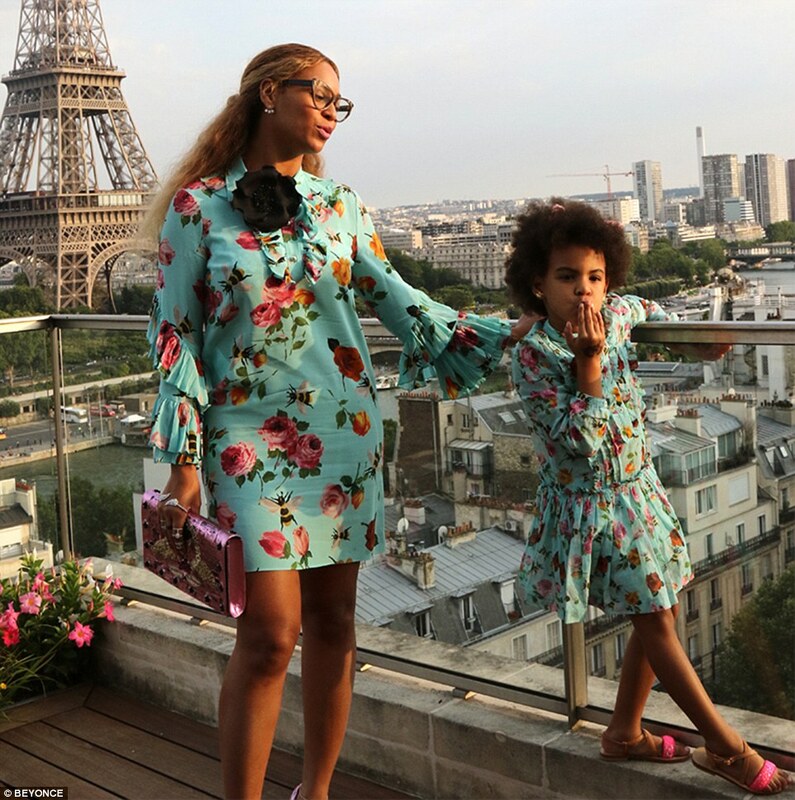 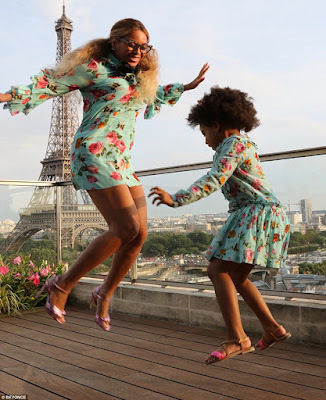 Beyonce and her daughter Blue Ivy rocked matching outfits by Gucci. Mother and daughter were pictured in Paris on a balcony with the Eiffel Tower in the background. 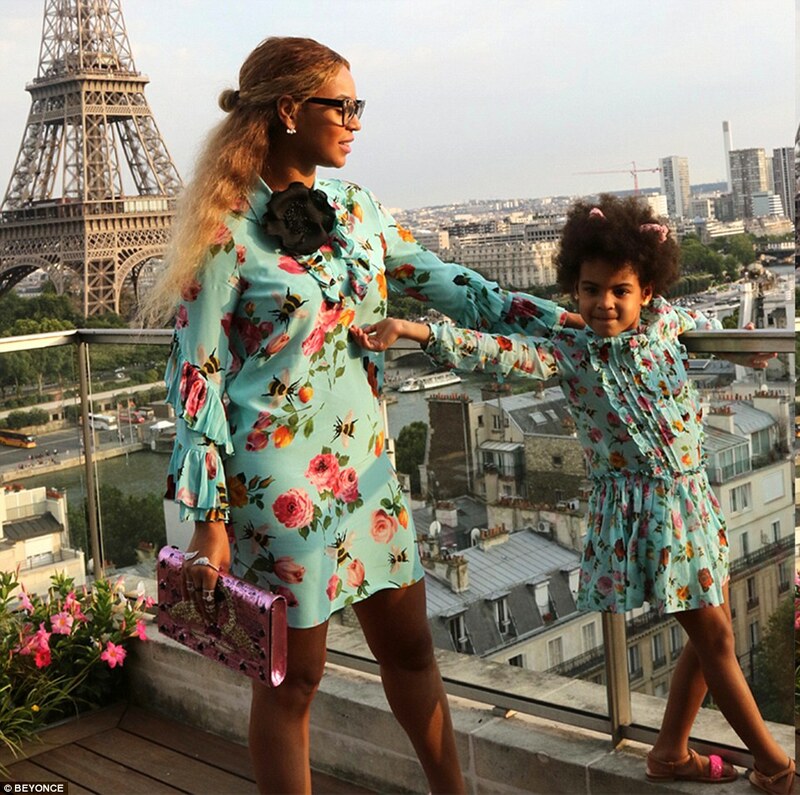 Queen Bey is still busy with her "Formation World tour."